User Experience is the core of digital products design. The best UX design agencies in the world use their knowledge to build exquisite User Experience that will engage users. This directory lists the Best Users Experience Companies out there, with full portfolios you can investigate according to your project needs. The verified reviews of clients that hired the Best UX Design Agencies are only a testament to the expertise of the designers engaged in these Top User Experience Companies. The journey a user takes on a website or application and the resulting experience - smooth or challenging - is very much determined by the design of the user experience (or UX). Thus, the Best UX design agencies employ talented designers that are capable of understanding the needs of a product and its users and translate it into a smooth and pleasant experience that allows users to see why the product they are navigating is good for them. They say that a design is subjective, but the user experience is determined by factors that can be predicted to a certain extent. The intersection between the two is where the work of the Best User Experience Companies lies. The best User Experience Designers out there will be able to combine whatever aesthetic they need to create with the right journey and experience for the users of the product they are working on. When looking for the Best UX design agencies for your project, you need to make sure you have access to a full portfolio that gives you an idea of what the UX team is capable of. Asking for works on similar or related ventures will be a key factor. Many can make beautiful designs, but can they make them functional and useful at the same time? 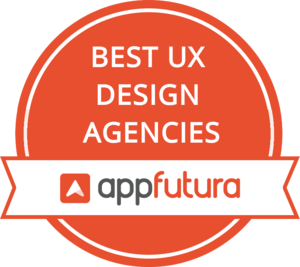 Find out on the directory of the Best UX design agencies on AppFutura.